Neighbourhood Plans were introduced by the 2011 Localism Act. They give local communities the power to shape future development in their locality, by allowing residents, employees and business to come together through a local parish council and say where they think new houses, businesses and shops should go - and what they should look like. ​If our NP passes these national and local planning policy tests, the local community will be able to vote on it in a referendum. With majority approval, the Neighbourhood Plan comes into force as part of the statutory development plan for Waverley. Our Neighbourhood Plan (NP) must be community-led and evidence-based. The process of drawing up the NP must involve the local community and reflect the community's needs and wishes for the future. Proportionate, robust evidence should support the choices made in the NP and the approach taken. 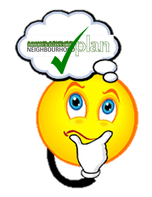 ​A Neighbourhood Plan, once made, will form part of the statutory local development plan for the area and its policies will be used to determine development proposals in the neighbourhood. Planning applications will be determined in accordance with the the Plan's policies unless material considerations indicate otherwise. Our Neighbourhood Plan must be in line with national planning policy and with the strategic vision for planning set by the local planning authority - in our case Waverley Borough Council. Waverley BC's final Local Plan for 2013 - 2031 has been submitted for examination, and is not yet in place. Under national planning policies there is an overarching presumption in favour of sustainable development. biodiversity and rural environment and which sustains its community - its people, its facilities and its heritage. 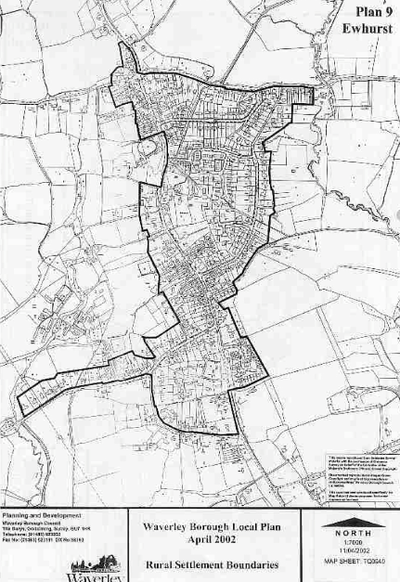 In 2030, the Parish will still be predominantly rural and undeveloped providing an attractive countryside setting for the village of Ewhurst (including Ewhurst Green), the hamlet of Ellen’s Green and the scattering of mainly historic rural development. countryside and the settlements will be retained and improved. requirements of the Local Development Plan. elderly and those with special housing needs. A. To maintain the separate identify and physical separation of Ewhurst (including Ewhurst Green) and Ellen’s Green and to limit and avoid development which would encroach upon the separation between those settlements and settlements and developments beyond the parish boundary. development and sites outside the boundaries of those settlements.